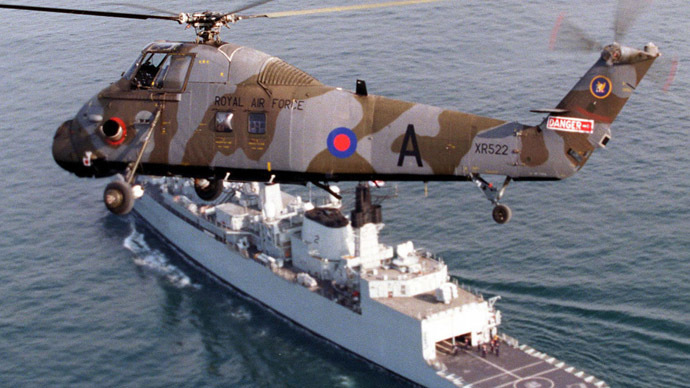 Twenty-five expectant sailors have been subject to emergency medical evacuation from Royal Navy warships over the last nine years, official figures have revealed. The figures for those flown off after being found to be pregnant, but in non-emergency circumstances, is thought to be much higher. With sexual contact strictly forbidden on Navy ships by an official “no touching” rule, even between couples, it is believed that most of the women got pregnant before setting sail. Last year, it emerged that over the course of the Afghan and Iraq wars up to 200 women were brought home following discovery of pregnancy. In 2012, one soldier gave birth in Camp Bastion, the UK’s center of operations in the war-torn Helmand province in Southern Afghanistan. Fijian-born Royal Artillery soldier Lance Bombardier Lynette Pearce said at the time she had no idea she was pregnant, and had complained of stomach pains before her healthy baby boy suddenly appeared on the scene at the base’s field hospital. A Minister of Defence (MoD) spokeswoman said: “The Royal Navy expects the highest standards of its personnel, who must abide by the Armed Forces Code of Social Conduct regarding personal relationships. The figures emerge amid increasing discussion over the role of women in the British military, and in the wake of a decision by the US military to push for women to serve in combat roles from which they were previously excluded. In December last year, the MoD announced plans to open up ground combat roles to women in 2016 after a review found that allowing women to join infantry units would not have an adverse effect on troop cohesion. While the review found the level of cohesion between troops would not be affected, it recommended further research into the physiological demands entailed before completely lifting the current exclusion measures. Defence Secretary Michael Fallon said it was essential that selection decisions be made based on ability, not gender.